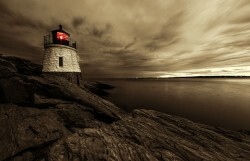 I’d like to inquire if the photo “Castle Hill Lighthouse at Dusk” is available to purchase? We’d like to incorporate it as a background scene for use in our marketing collateral. I have been unable to locate this particular photo in Shutterstock or iStockphoto.